In general news, President Trump pulled the U.S. out of the Iran nuclear deal forged by Obama. 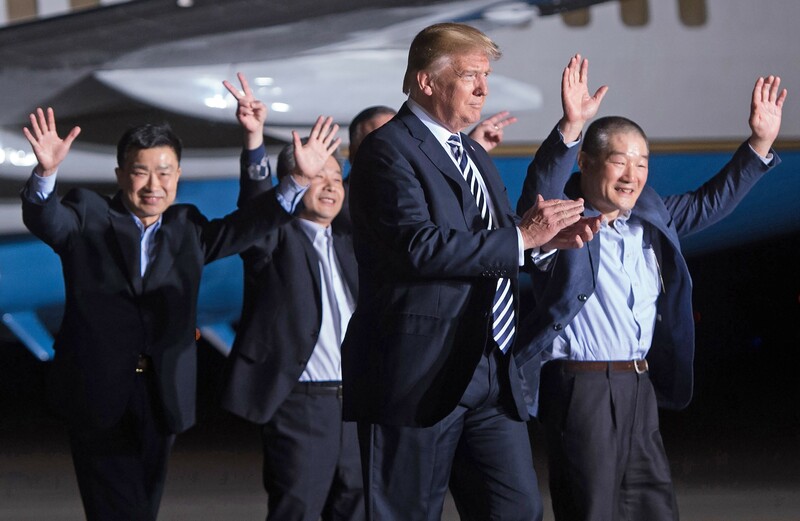 At the same time, three US prisoners held in North Korea flew home and to be greeted by Trump at 3:00 AM. In the states, New York Attorney General Schneiderman was ousted in shame as women came forward to accuse him of drunken beatings. In healthcare business news, Trump’s Secretary of HHS Azar and FDA Commissioner Gottlieb, both former Big Pharma lobbyists, delivered Trump a drug price reduction plan that avoided CMS negotiations for drug prices. As a result, the toothless plan caused drug stocks to spike after the announcement. Valeant (VRX) changed its name and ticker to Bausch Health (BHC) to rid itself from the stigma of the Valeant scandals. Finally, Eli Lilly (LLY) acquired Armo (ARMO) for cancer drug pegilodecakin, a PEGylated IL-10. On the data front, catheter ablation to treat A-fib was shown to be no better than medical therapy. JNJ, Boston Scientific (BSX), Medtronic (MDT), and Abbott St Jude (ABT) make the devices. Also, Roche’s Tecentriq/Cotellic combo study for colon cancer failed, impacting Exelixis (EXEL), maker of Cotellic. From the FDA, Lipocine (LPCN) shares fell when the agency rejected Tlando, an oral testosterone drug.